I'm satisfied with the right dimensions. It seems that it is possible. This review is about item#41510262. Because the length of the bolt that can be purchased at the home center is limited, I am saved to the large number of monotailu's items. This review is about item#41509797. It was saved because we got a screw of a kind that was not readily available at the home center. I want to use it again. This review is about item#41509745. To the old motorcycle restore. It was usually used for changing the atmosphere from hexagon bolt and renewal of bolt. Without being bound by the image of the L-shaped hexagonal wrench for bicycles, you can apply the appropriate torque by using the heavy hex bit of the body. It utilizes space saving, it has a different usability from hexagonal bolt, and at the same time it seems that it also has advanced design as well as design. This review is about item#41510235. For center cap cover of black wheel I briefly used the black bolt which I sell at the home center, but I got rusty with haste. Black hexagon socket head screws that are hard to crack are not sold, It was helpful to purchase it here. There is also a nearby home center, but I ordered together, so I was able to suppress shipping costs, it was good to get the results cheaply. This review is about item#41510524. This review is about item#41510673. It is necessary to have enough quality. Since the old bolt is a Phillips screw, it looks much better after replacing it. This review is about item#41509571. This review is about item#41510226. I think that it is good for the price. If you are not particular about it, recommend it. This review is about item#41510795. Because manufacturer genuine products will rust easily and split, we exchanged here. It does not rust easily. It is a good product. This review is about item#41510551. This review is about item#41510646. I trusted the sample photograph and ordered with a half screw, but it was a product of all screws I devoted it somehow and I am grateful for the delivery response in a small amount. This review is about item#41510987. This review is about item#41509964. 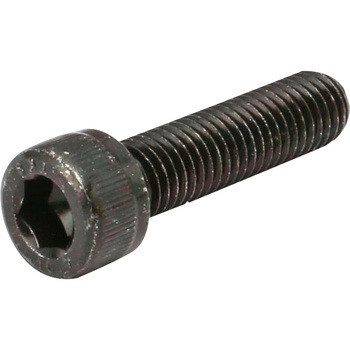 I was looking for a half screw type bolt, but the dimensions of the part that I wanted to use was decided, and in the case of Mr. Monotaro, since the dimensions of each part was described properly, it was a pleasure choosing the product It was. This review is about item#41510305. General bolt. Since M14 is hard to obtain at mass retailers, it is saved only by the handling. I want you to have all the screw products with more than 60 under the neck. Also, searching for products is difficult to understand. This review is about item#41511102. The price is reasonable and satisfactory without problems at all at all. This review is about item#41510603.